The stories that come from the street children are confronting and painful. These children survive by either working on the street, living on the street – alone or in groups, or are children that live with their families on the street. There are varying reasons why they live this way, some being war, hunger, family breakdown, family violence, being orphaned, or other. The testaments of street life here come from children from Mozambique, Zimbabwe, Guatemala and Central America. In their own words, six children and two families share the reasons why they chose the street as their home. Sad, tragic and frequently unbelievable, their stories are painfully honest. 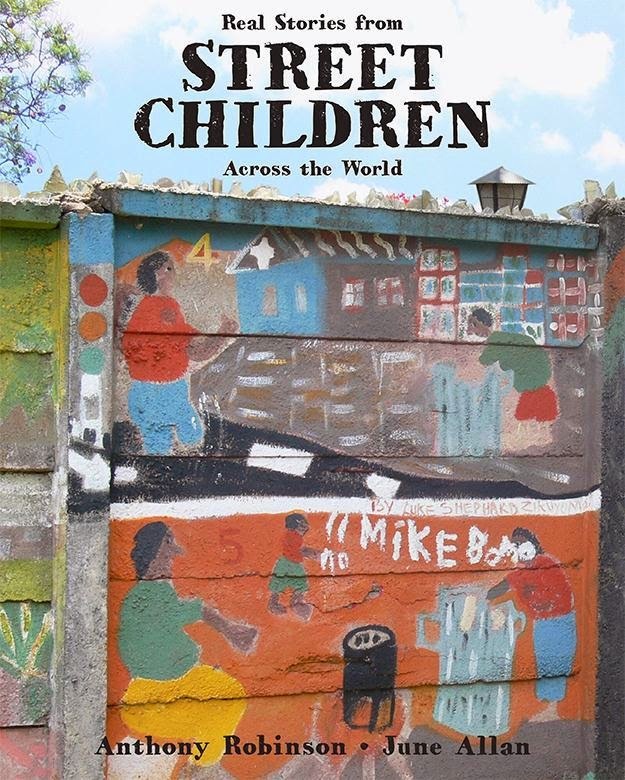 It’s an excellent insight into the survival strategies the street children use, and the customs, habits and attitudes that the people in those countries live by. The Streets Ahead Centre is the saviour of many of these children that simply long for a home, and harbour dreams of becoming someone or something better when they grow up. This book has many similarities with Donkeys Can’t Fly on Planes published by Kids Own Publishing, which contains stories by young Sudanese refugees living in Australia. The children’s stories have many common threads. These stories are not easy to read. There are many countries in the world where children are seen as a disposable commodity, even by their parents. Figures are not exact on how many street children there are around the world but it’s approximately between 100 and 150 million and are mainly found in cities.